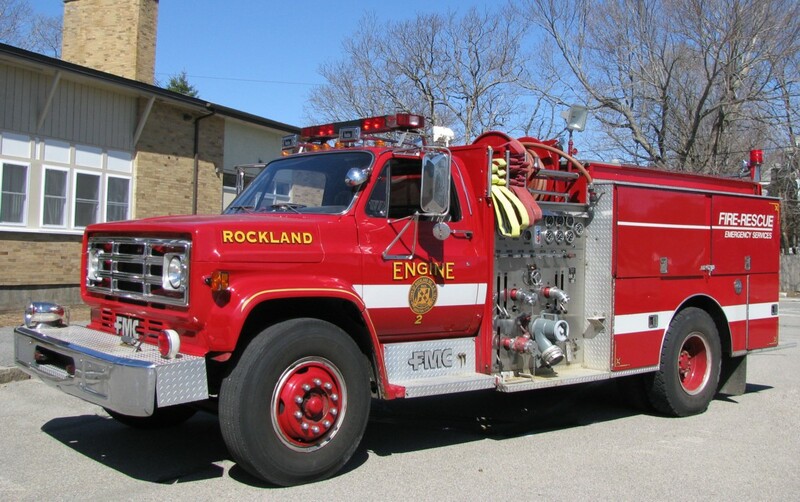 This rendition of Rockland Engine 2 is a 1988 GMC/FMC 1000gpm pump and 500 gallon water tank. It was formerly Whitman Engine 3/ Rescue 1. In early 2010 it was surplussed from Whitman to a junk yard and then rescued from the scrap heap for service in Rockland. As of January 2009 this engine is out of service and set to be surplused soon. 1987 Ford/E-One 1250 gpm pump former Engine 2.